Angel “Tito” Acosta is just days removed from the best win of his career, but already back hard at work and for good reason as his next fight date is already around the corner. 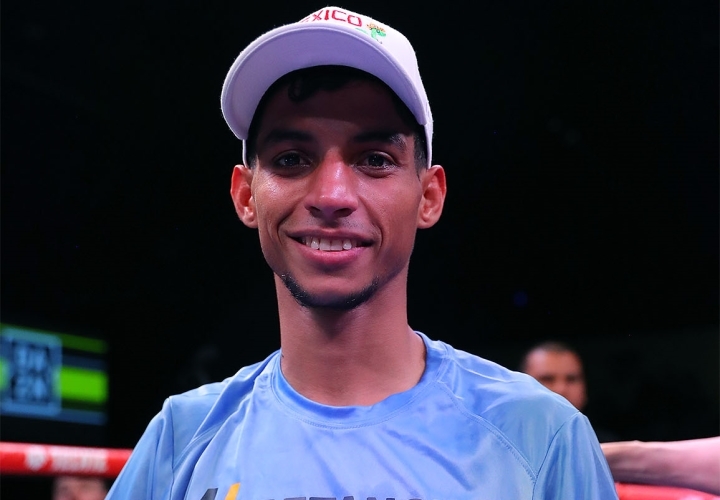 The reigning junior flyweight titlist in fresh off of a one-sided 8th round stoppage of former 108-pound title claimant Ganigan Lopez in late March at Fantasy Springs Casino in Indio, California. The bout streamed live on DAZN, which will return to the very same venue for his next title defense on June 8. Acosta (20-1, 20KOs) won his version of the 108-pound crown in Dec. ’17, scoring a 10th round knockout of Juan ‘Pinky’ Alejo on the undercard of the final fight in the career of his promoter and former four-division champ Miguel Cotto at Madison Square Garden in New York City. The win came seven months after his lone career loss, a 12-round decision to Kosei Tanaka, whom vacated the title soon thereafter. Three successful title defenses have followed his MSG debut, including his impressive showing versus Mexico’s Lopez on March 30 in Indio, Calif. Acosta won every round before putting Lopez down and out for the night midway through the 8th round of their DAZN-streamed co-feature to Ryan Garcia’s two-round wipeout of Jose “Wonder Boy” Lopez. Afterward, he wasn’t the least bit shy about calling out the other titlists in a 108-pound division where he plans to remain despite briefly struggling at the scales ahead of his latest win. It’s doubtful that a unification bout comes that soon, but all options are being considered as the diminutive knockout artist is eager to leave his mark on the sport. A mere ten-week turnaround is a nice start towards achieving that goal. Why is ever Golden Boy fight in Indio? They should be building this guy up in Puerto Rico. That is one anorexic flies buzzing all around him starving in a village looking guy.